A great race is like a great meal: you never forget it, you relive it in your mind even years later, and it leaves you looking forward to the next one. 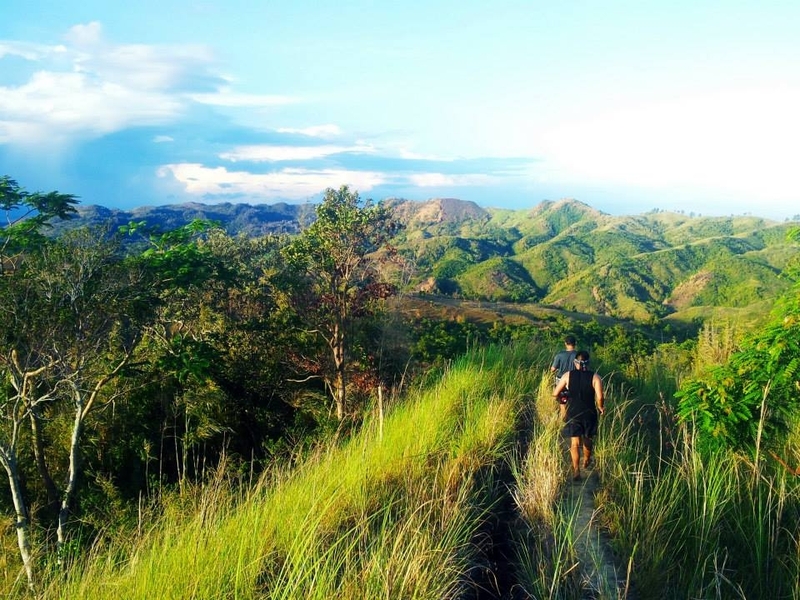 I am delighted to share my unforgettable experience as I lost my trail running virginity along the beautiful Sierra Madre mountains. Just like a great meal it left fabulous memories and an excitement for the next one. Chad had already told me about the Top 10 Reasons to Try Trail Running but I wanted to experience it for myself. My First Ever Trail Run! 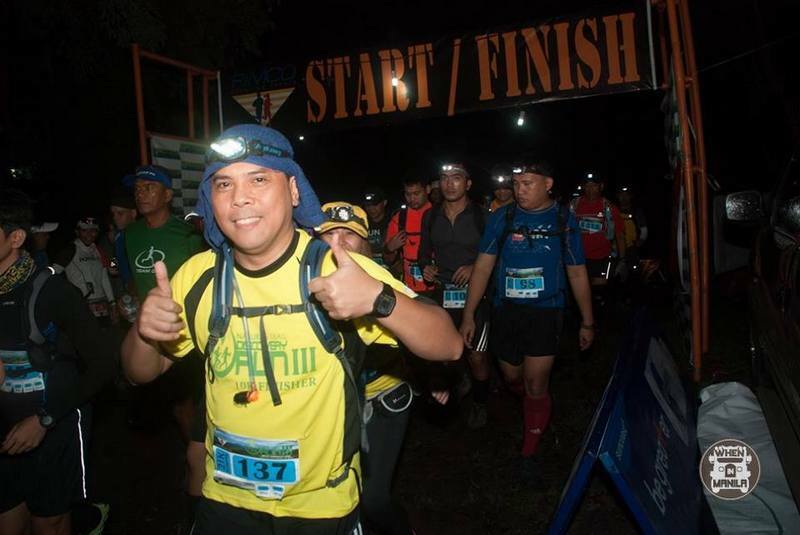 2:00 am on Sunday 12th October is the time that I met Chad before we drove to Tanay, Rizal for my first 21k trail run. Yes 2:00am, that is insane, especially when you finish late the night before with a busy service at Impressions Restaurant of Resorts World Manila. Six month earlier Chad finished 2nd in his Love A Tree International Trail Running 34km race and was talking about it like crazy. Saying it’s very good and a fantastic experience for him. I remember he could barely walk the next 2 days after the race. 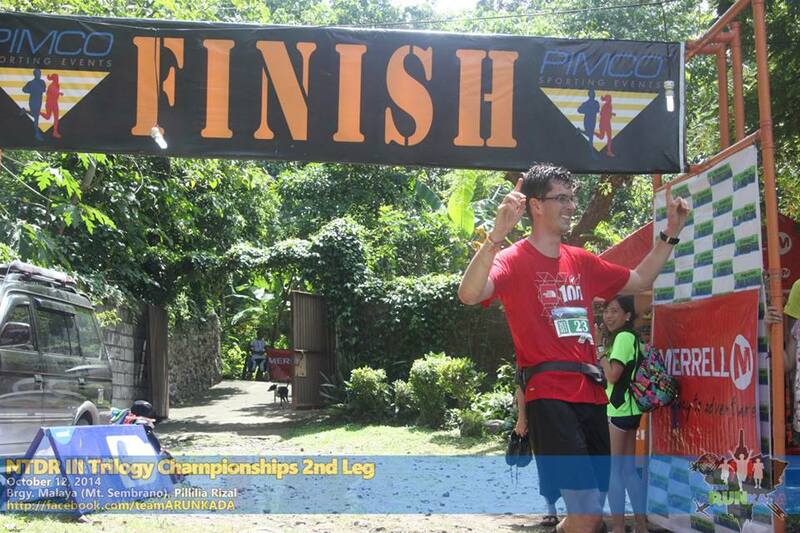 Despite that, he convinced me to sign up for the next Pimco Sporting Event 21km trail run. When we arrived at the race venue I was surprised to see so many people. Especially so many young ladies! Guys, do you need any more reason than that to join trail running right? I also saw many couples running together. You have to have a flash light for the dark start at 5:15am (it was delayed by an hour due to safety issues because of over night rain). 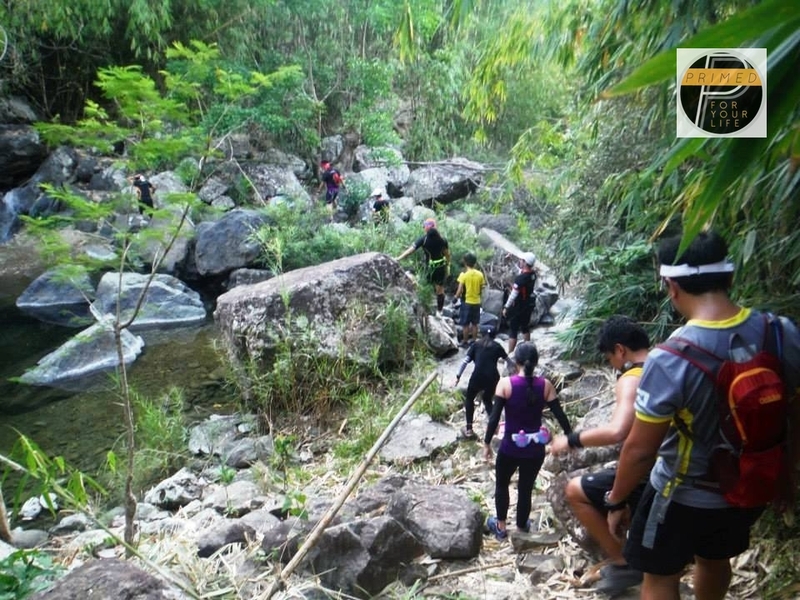 Imagine walking in the dark in the jungle as you wade through water and climb over muddy rocks. Make sure you position your feet properly or your arse will hit the ground hard and fast! As the sun rises there is no need to use the flash light any more. Finally you see and enjoy the surroundings. People overtake you but you overtake a lot of people too. Some bring music with them. Some make polite conversation but always very supportive. My legs were good as I was not feeling too tired, so I was in good condition. 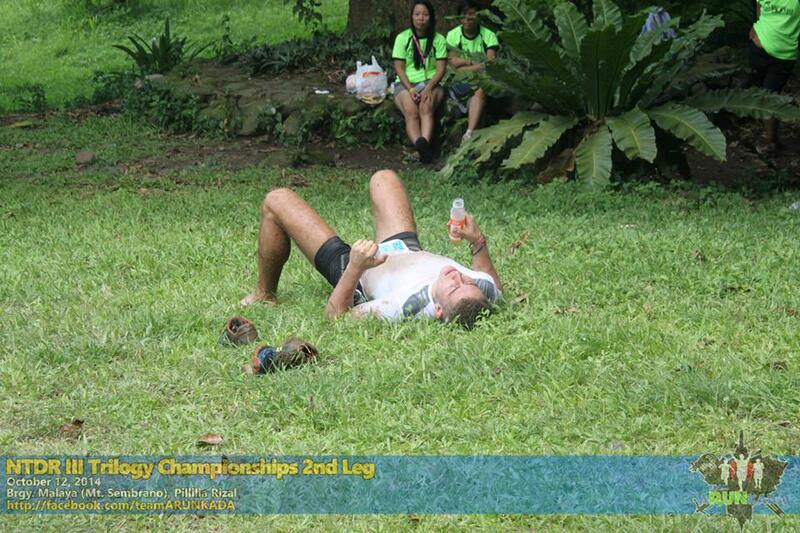 Then the real trail run start I suppose after the 2.5km. The track was small and slippery and starting to go up already (the total elevation gain for the 21km race was 1600 meters). The feeling is very different from a normal run as you use a lot of more energy. On top of the hill you can see the people stop, talking , smiling and taking pictures. People were taking selfies or even asking me to take their picture. Hahaha, I did the same . When I arrived and looked down I saw the magic of the trail. 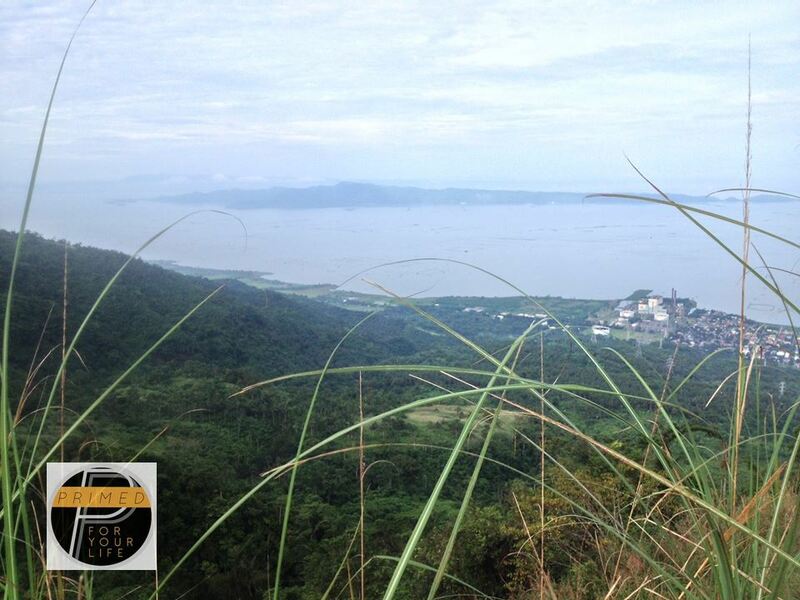 The glorious scenery makes you forget that you are in a race and that you have a time limit on the race. The Summit is Wonderful but Only 5km out of 21km So Far!! My Strava GPS Running App was telling me that it’s only less than 5km out of 21km. With a run like this sometimes during 30 minutes you will not even see anyone and then you will have so many people in front of you that you have to stop because the track is too small that you cannot just overtake them. My water was starting to be half already and I was drinking more and more in the heat of the morning. Oh well, keep on trekking. Then the marshal asked me 10km or 21km? 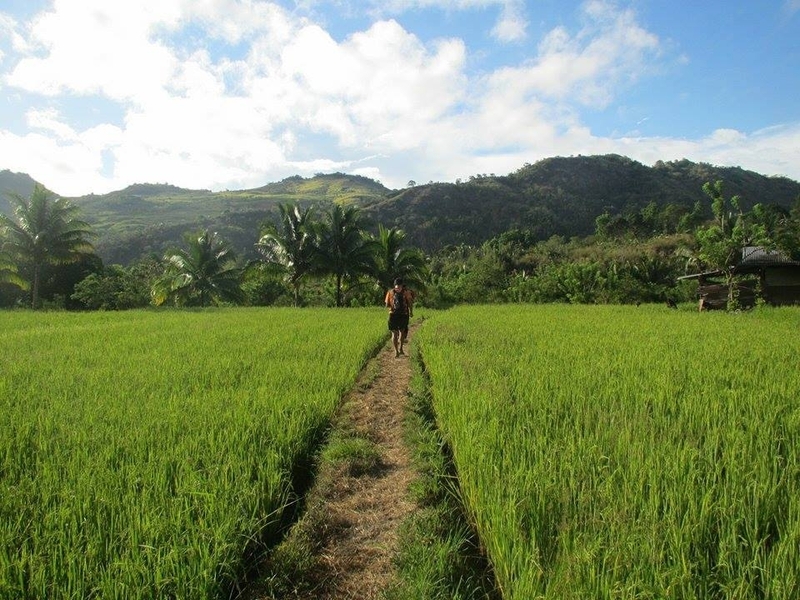 I answered 21km so then he showed me with his arm the direction of the other highest hill. OMG, you can barely see the track and the runner who were already there were so small. There was a very small track full of high plants and the view was magnificent. It was breath taking actually and made me stop in my tracks to fully appreciate its true nature. Going up again I was thinking now that I need to use my water wisely so I will be able to survive until the water stop. It was a tough one going up but I managed to overtake few people so I was thinking that I’m not as slow that my app strava was telling me. When we finally arrive at the top the 3rd hill (710 meters according to strava). Then you feel like it will be a challenge to go down. But you just look down and see those guys arrive on the 2nd hill. Ok, let’s meet them down there. Batteries Going Flat – My Phone and Mine! Then the jungle part again with rocks where maybe no one passes, not even animals. Then my phone died. No more battery. I felt bad that I will not be able to record the whole run. No more water too. That was a problem because I was in need to water and maybe a banana. Next time I will follow Chad’s lead and bring m own Primed Home-Made Gel for a great fuel source. 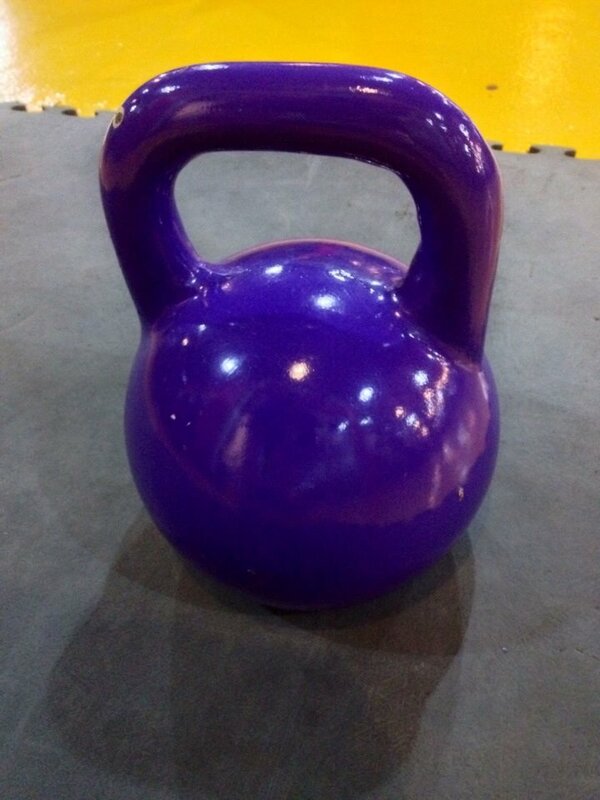 I am pleased to say that my kettle bell training was a serious help during this trial run because when you are going down hill over slippery terrain you need all your all body muscle functions. Even some muscle that you don’t even know! My back was working hard because of the balance and my arms also and shoulder to be able to grab the tree and branches to help you going down. Next time I’ll wear gloves and probably long socks too. I thought about the hard military training that I have watched on tv, the legion Etrangere, it’s a special force that train in the jungle and they said that its one of the hardest training overall. After 30 minute of going down the most difficult section we already start to see people coming up. Oh oh. You mean to say that part of the 21km you need to go back up??? How? How I can find the energy to do that with no water and no food. Here we go, I saw Chad. My buddy. I said “Hey mate, what’s up?” Then Chad answered “Seriously mate, this is crazy tough, you don’t want to go down anymore so come back up with me now. But I answered that I needed water. He told me that there is buko juice ahead and gave some of his buko juice to drink. OMG. That was so good, it gave me some good feeling and my all body was much better (thank you Chad). Maybe that is the hidden beauty of the trail run as it makes you appreciate things even more without taking them for granted. After 3 to 5 kilometers I think of a tough decent I saw a one of the nicest rivers ever. I ran into it, first to clean all my mud off from all over me but also the refresh me up. Wow, what a feeling! 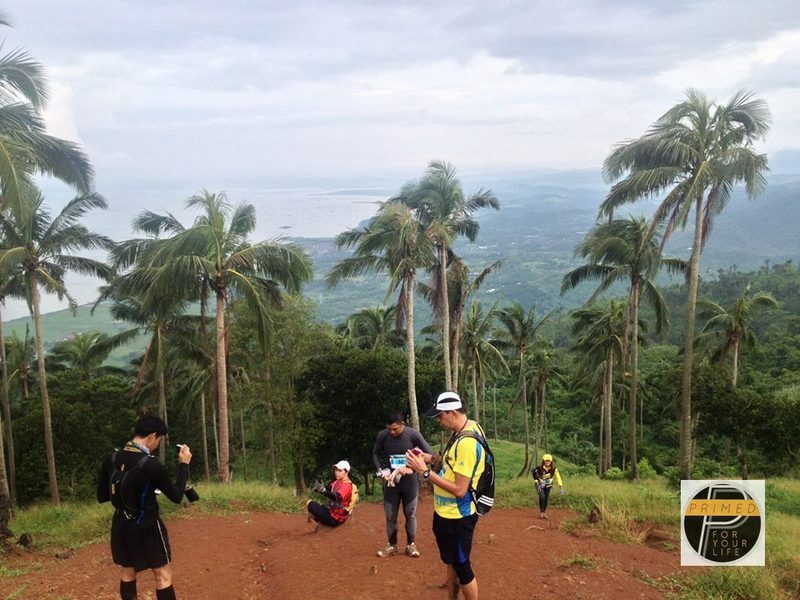 After my refreshing waterfall and buko juice stop there was a marshal with a big sign 21km turn around sign. I was thinking that maybe Chad was right and I should err for safety first after all this hard trail running. So, after more than 3 hours I decided to go back to the finish line. Well, I don’t regret to not as finish the 21km as I did something like 15km and I was very happy with myself. It was a very nice experience. Beautiful scenery and a lot of nice people. I didn’t get my finisher’s shirt but I got such a rewarding experience. Thank you Chad for bringing me in this adventure, and for sure we will do the January one. 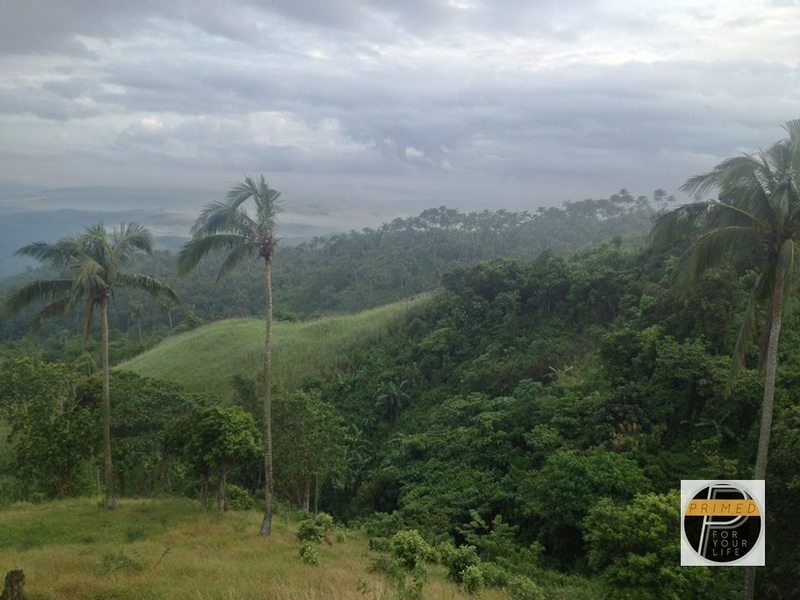 Thank you Pimco Sporting Events to come out with this special event and to let us discover another view of the Philippines. I loved it. 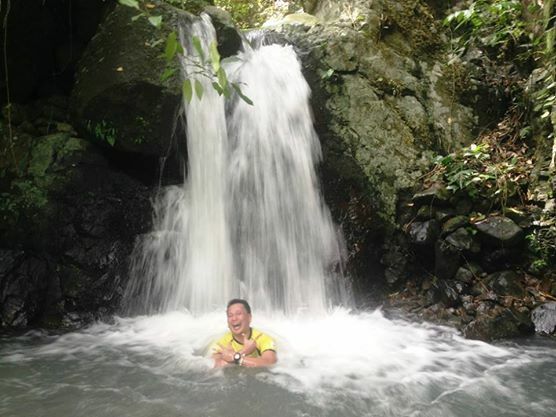 It is more fun in the Philippines. 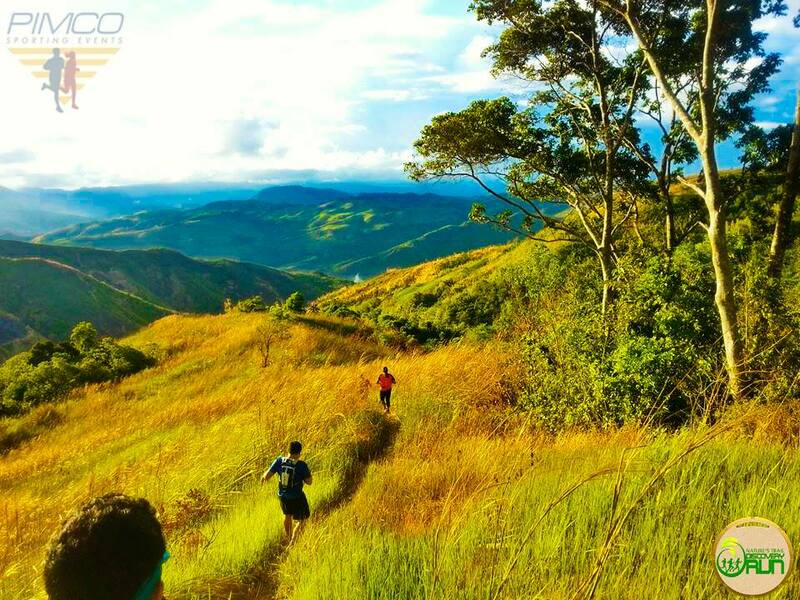 Do you have a trail running experience you would like to share? I would love to hear about it. Cheers, Chef Cyrille. 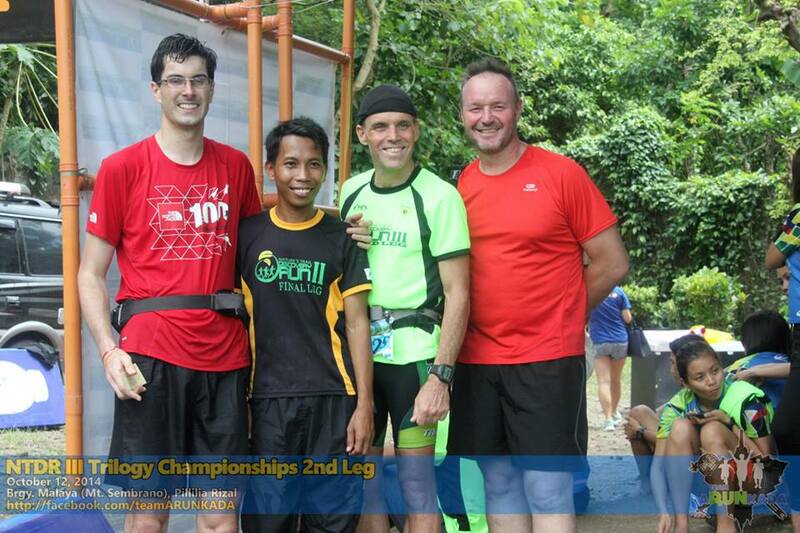 Picture courtesy of Team aRUNkada and features Danish trail 2nd placer (in the 22km category) Kristian Joergensen. Congratulations to Adolfo Eberlein who was first placer (his first podium after many attempts) in the 30km Trail category. 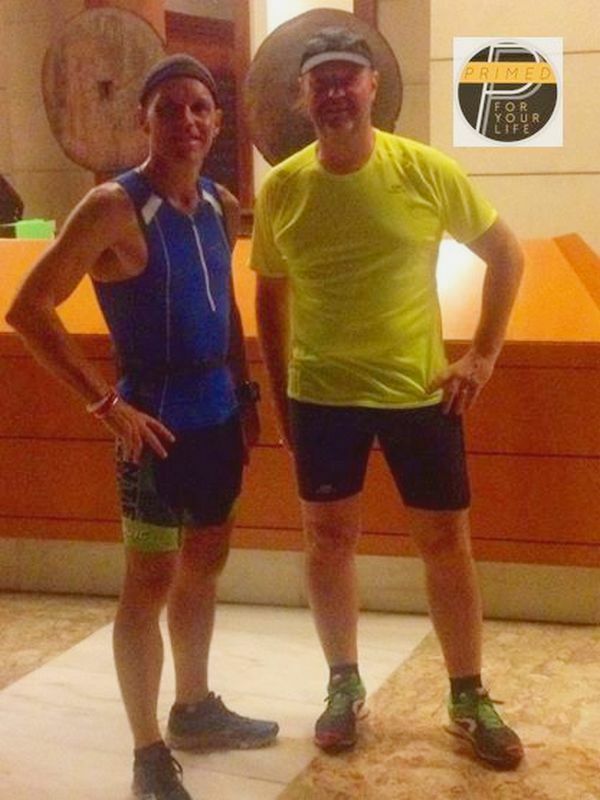 Chad and I loved our trail running adventure so much that we have signed up for the final leg of the trilogy already!